Chatting about your tighty whities? 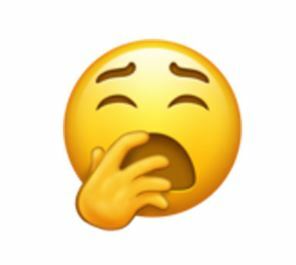 There’s an emoji for that. Full story on Business Insider. This one might become the most useful for Twitter users. Not sure what to say about this one. 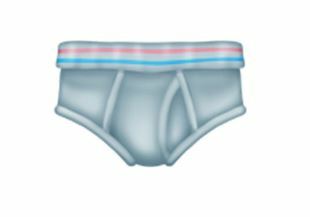 Good to see the continuing trend of inclusiveness in emojis. “A new app is trying to make it simpler to help you react to photos and videos that your friends post online—it’s using AI to capture your facial expressions and automatically translate them into a range of emoji faces. “Polygram, which is free and available only for the iPhone for now, is a social app that lets you share things like photos, videos, and messages. Unlike on, say, Facebook, though, where you have a small range of pre-set reactions to choose from beyond clicking a little thumbs-up icon, Polygram uses a neural network that runs locally on the phone to figure out if you’re smiling, frowning, bored, embarrassed, surprised, and more. Marcin Kmiec, one of Polygram’s cofounders, says the app’s AI works by capturing your face with the front-facing camera on the phone and analyzing sequences of images as quickly as possible, rather than just looking at specific points on the face like your pupils and nose. This is done directly on the phone, using the iPhone’s graphics processing unit, he says. Google wants to make you look funny with fun bitmojis! Instead of analyzing a photo of you pixel by pixel, Google’s algorithms recognize “qualitative features” of your face such as eye color, and then turn them over to another algorithm which picks from more than 563 quadrillion combinations to make a funny image that sort of looks like you. As you might imagine, all of this was quite a challenge for Google’s team of artists and scientists. One issue in particular was avoiding the so called “uncanny valley,” a psychological phenomenon which makes an illustration of a human that’s very similar, but not quite identical to the real thing, creepy to humans. This makes me want to download the app, and i dont care about bitmoji at allllll. Aphasia is a disorder usually caused by brain injury or disease whose effects can include losing the ability to read, write and speak. Aphasic patients can still comprehend visual cues like symbols, gestures and facial expressions, and written language aside, are able to fully function and communicate. By mapping series of emojis to everyday human actions and needs, Samsung’s Wemogee app provides a visual interface for aphasic patients to communicate with friends and family. 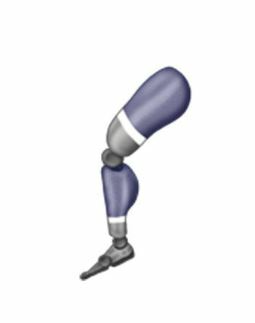 Aphasic users enter emojis into Wemogee, the app translates the visual entries into sentences for their friends and family, and vice versa, helping bridge their gaps in expression and communication. It is still all too common for websites and apps to consider accessibility and special needs as an afterthought. It’s especially refreshing to see an app created to help a specific group of humans who would normally be ignored in these spaces. Twitter introduced custom emojis during the VMAs this year, and they seem to be expanding the efforts with a new Share a Coke ad. They also launched custom Star Wars emojis previously. Users would need to use the ascribed hashtags in their tweets to generate the custom emojis. Why It’s Hot: Twitter seems to have developed a paid product that provides a very clear value exchange for the consumers and brands. By customizing a product (something of a collectible) that’s attuned and relevant to present mobile behaviors, it’s likely that ad purchases and usage will increase on Twitter. Emojis are usually pretty easy to use—unless you’re trying to type them into your browser’s address bar. 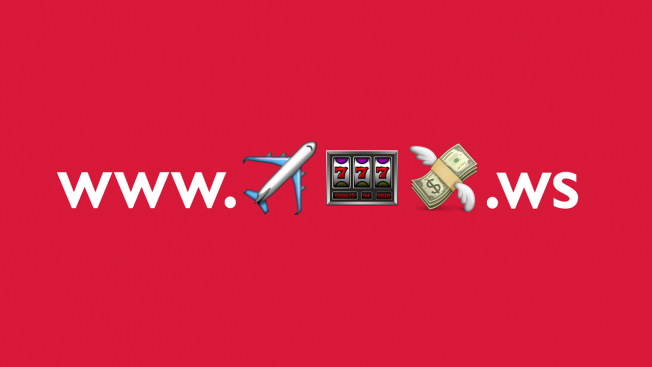 Norwegian Airlines decided its target millennial audience was probably up to the challenge, though, so earlier this week it partnered with several Danish influencers on Instagram to spread the cryptic URL shown above. The brand says that on the day of the Instagram push, about 1,600 people visited the site, which announced a new direct flight connecting Copenhagen and Las Vegas. Normally that might be a disappointingly small number, but in this case the airline was intentionally trying to build buzz by playing hard to get. “We know that young people aged 18 to 34 are incredibly complex to market to. 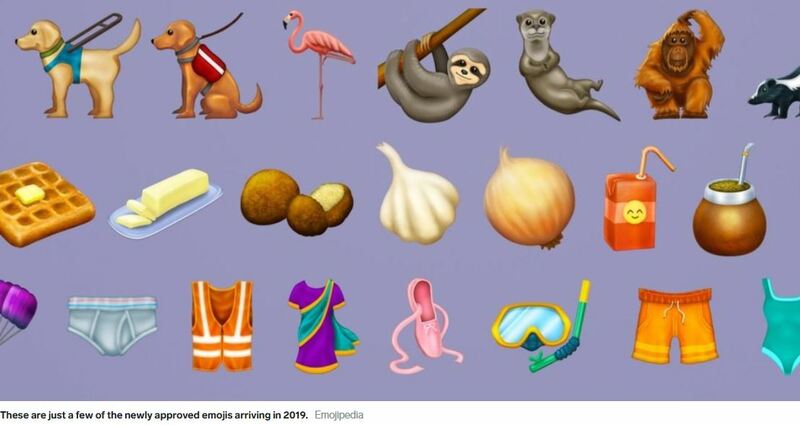 Therefore we decided to take advantage of the target audience’s way of using emojis as well as the linear feed on Instagram to hype the destination,” said Tina Fristrup, senior marketing project manager at Norwegian Airlines. Coca-Cola used a similar approach recently with its ad campaign featuring URLs made of one emoji each. Those ads also used Samoa’s .ws domain, one of the few that allows emojis (for reasons you discover in depth in this Washington Post explainer). Norewegian Airlines’ URL was posted to Instagram not by the airline but by eight partner influencers, including a soccer player, music producer, models and bloggers. All told, the airline says, the posts generated 4,171 likes and reached an audience upward of 500,000 people. Norewegian Airlines put the audience front of mind when creating this campaign. They combined pop culture and social media to reach 18 – 34 year olds in a creative way. The campaign was able to stand out for doing something outside the box. I like emojis, I love pizza and I adore convenience. Soon Domino’s will be combining the three by enabling consumers to directly place an order by tweeting the pizza emoji to the food chain. The company states it is rolling out the tweet-for-pizza feature in an effort to engage tech-savvy, busy young consumers. Other companies, such as Starbucks and the Miami Dolphins, have also used Twitter as an ordering platform but purely for short-term or testing purposes. However, it seems for Domino’s this feature is here to stay. The tweet-for-pizza feature will debut later this month. Facilitating a 5-second exchange that ends with a pizza at my door is SMOKING. But beyond that it’s truly about convenience: Domino’s has progressed from phone ordering, to online, to a stand-alone app (that also allows voice ordering) and now to this. Domino’s is continuously meeting its consumers where they are, as 50% of the pizza orders take place digitally.